We carry hose diameters for many different applications. 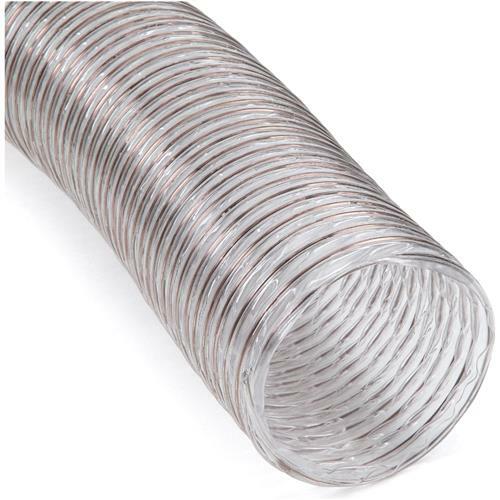 Spiral wire reinforced clear hose allows easy inspection for locating potential clogs in your duct system. Uses RH fittings.